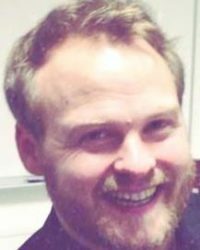 Kasper Grotle Rasmussen is an assistant professor of American History at the Center for American Studies/Department of History at the University of Southern Denmark. His main field of expertise is the history of American foreign relations in the 20th and 21st centuries. He has focused on ideas, decision-making structures and – most recently – emotions, especially in the Kennedy Administration, on which he also wrote his Ph.D. dissertation (Aarhus University, Denmark, 2013). He focuses on conspiracy theories in the encounter between the United States and the rest of the world and is currently working on two projects: 1) conspiracy theories and the 2016 presidential elections, and 2) American conspiracy theories during the early Cold War.